GALION — Most former students say they have had at least one great teacher, the type with a true passion and love for teaching and a genuine spirit of caring for his students. According to many, Bill Stepro is one of the “greats,” touching the lives of hundreds of students over a 50-year career with Galion City Schools. 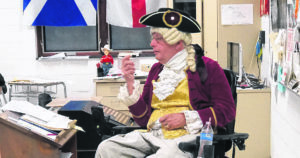 After earning a bachelor of arts degree in history from Ohio’s Miami University, Stepro joined the Galion staff as a junior high school history teacher in the fall of 1968. In 1980, he transferred to the high school, a move which he’s glad he made. Stepro has taught a variety of history and government classes. But he always had high expectations for his students, regardless of their dedication to their studies. Former students say Stepro was always fair. 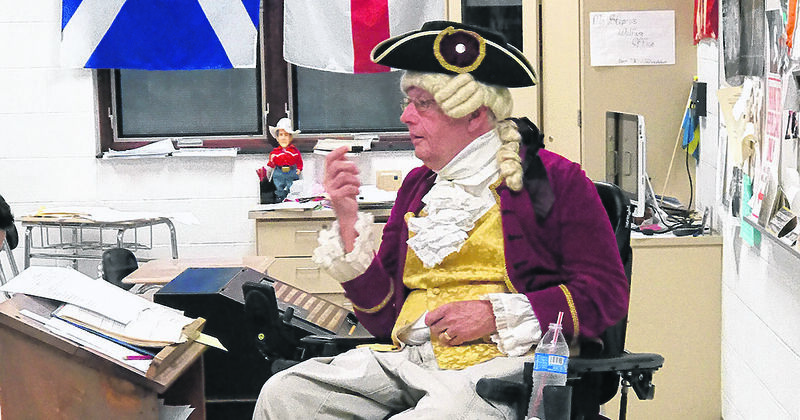 Stepro is a great storyteller, and often surprised his students by dressing as a historical figure. He also had an ability to encourage students. Stepro said his bond with students is what has kept him going for five decades. “In ‘68 ,the students were great, despite me not knowing what I was doing,” said Stepro. “They could have caused all kinds of trouble, but they didn’t. I still communicate with several of those students today. One former student called on students for assistance and expertise while attending college. And Stepro didn’t hesitate to help. “There are so many people with so many memories and stories that it could fill an entire world history book,” Frankhouse said. While there are countless recollections and fond memories, Stepro has a difficult time identifying one that captures his attention. Chris Stone handles public relations for Galion City Schools.